Ambient Quest screenshots: Version 1, Version 2.2 Aztec Myth and Hostile Planet themes. Click images for full size screens. 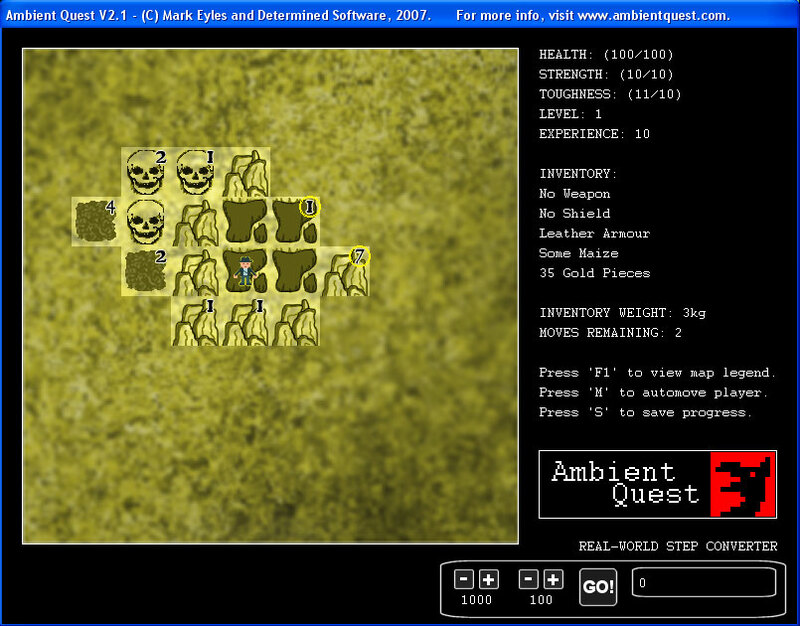 Ambient Quest was designed by Mark Eyles and coded by Neil Dansey of Determined Software with graphics by Mike Rawlings (email Mike) and is not freeware. However, for a limited time, it is freely available for download from this website. We offer no guarantees with this software and do not offer any technical support. 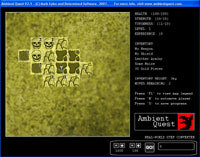 Ambient Quest has been used on a variety of PCs running Windows XP and is not resource hungry. Download the latest version of Ambient Quest: Ambient Quest zip file (3.8Mb) or Ambient Quest rar file (2.8Mb) (C) Mark Eyles and Neil Dansey, 2007-8. By downloading Ambient Quest you are agreeing to Determined Software's terms and conditions, see the 'Legal bit' at the bottom of this webpage before downloading. Discuss Ambient Quest and ambient gaming in the Facebook Ambient Quest group: Ambient Quest Group. Please contact Mark Eyles with any thoughts or observations on Ambient Quest or ambient games. 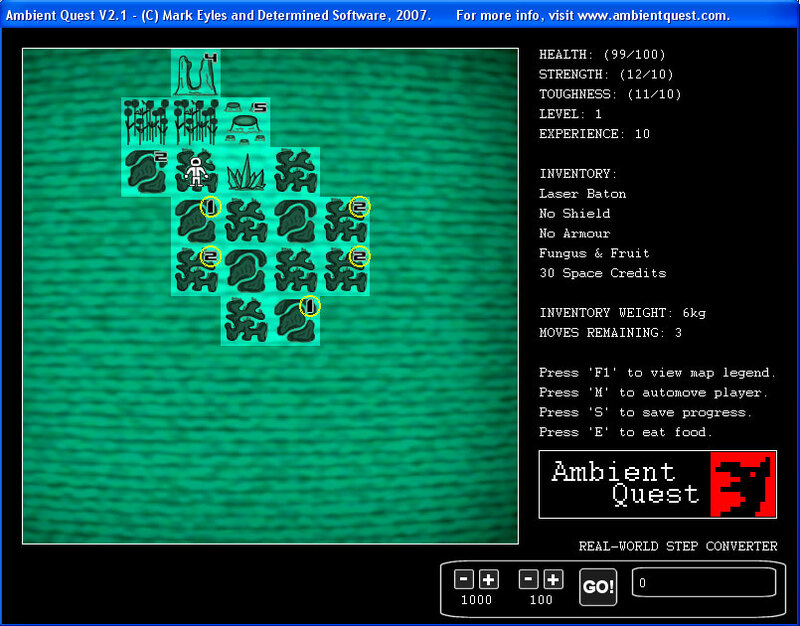 Ambient Quest was created primarily as a tool for academic research, though there seem to be possible future commercial applications for ambient games. Research into ambient games is continuing at the University of Portsmouth. Unpack the files, keeping the folder structure intact (you end up with a folder containing 'images' and 'logs' folders and an AQv2.2.exe file). 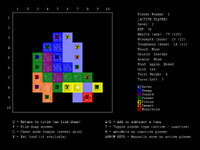 To play the game run the AQv2.2.exe file by double clicking it. There is no need to install Ambient Quest and it does not copy files anywhere else on your computer. The game loads up into a window on your desktop. Press the 'I' key for instructions. You can quit at any time by pressing the 'Esc' key. Mark is a Principal Lecturer in the School of Creative Technologies in the Faculty of Creative and Cultural Industries at the University of Portsmouth where he lectures on games. Before joining the university he spent 22 years working in the games industry, from 1981 to 2003. He belongs to the Advanced Games Research Group. This product is distributed "as is". No warranty of any kind is expressed or implied. Customers use this software at their own risk. Determined Software will not be liable for data loss, damages, loss of profits or any other kind of loss while using or misusing this software. Determined Software has made every effort to ensure that this software is in good working order, and that information contained within external files and this website is correct. However, Determined Software does not guarantee that this software is 100% free from errors or that the information (particularly regarding minimum technical requirements) is 100% accurate.